Despite what every student may think, professors have pursuits lying outside of academia. 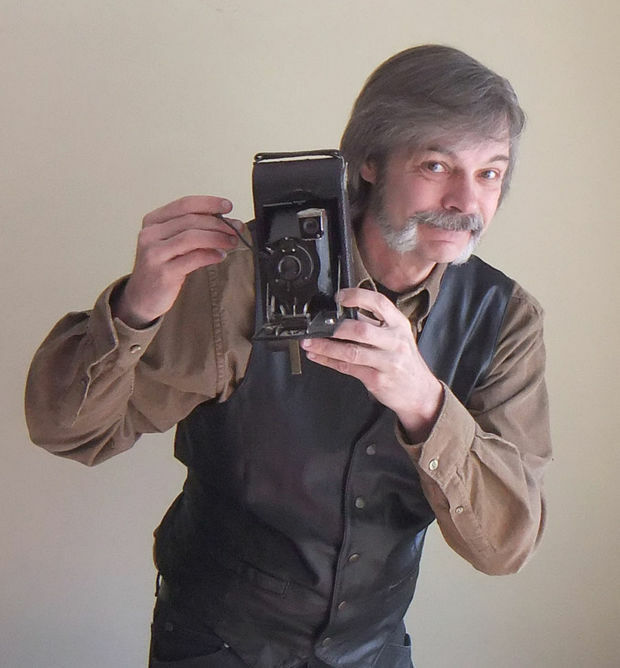 Professional Communications and Emerging Media professor, David Tank, at the University of Wisconsin–Stout is certainly a leading example. 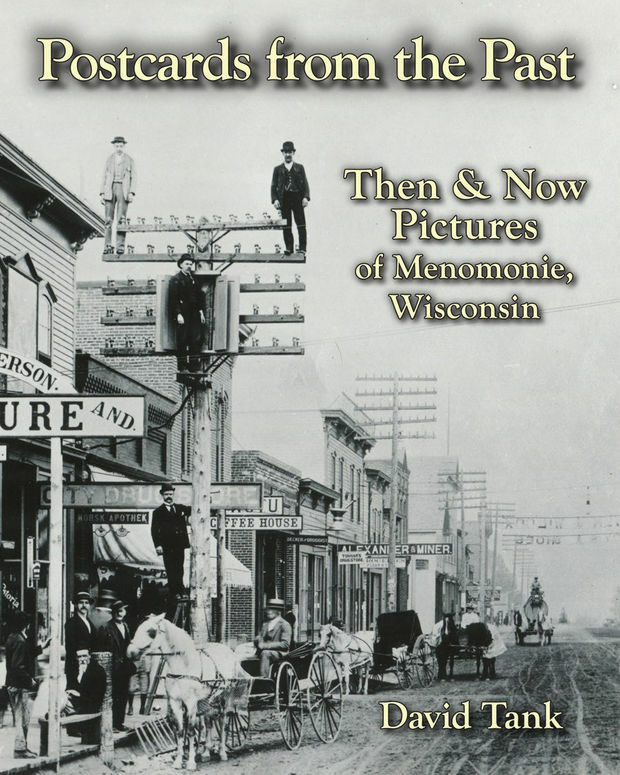 Tank, writer and photographer, has recently released his 6th book, Postcards from the Past: Then & Now Pictures of Menomonie. In this book, Tank explores the structural and architectural changes that Menomonie has undergone through a collection of old postcards ranging from 60-100 years old. The photo is perhaps the most renowned image to come from Menomonie. Tank found the present-day location of this particular image, took a photo in the exact spot of the original and was awed by the stark difference between the two. He began to locate Menomonie postcards on Ebay and continued to do these comparisons. He offered the dual photo sets to the Dunn County News where they turned into a year-and-a-half-long series. They gained lots of popularity during this time, and readers clamored for more. Eventually, Tank had enough of these side-by-sides to do a book. When viewing these comparisons, it’s evident that Tank takes great care not to jeopardize quality. His attention to detail and particular methods used for taking these photos ensures that the viewer is seeing the exact location in two different pictures. “I’ll re-shoot the picture three or four times to find the exact spot,” he said. Tank typically uses the roof lines as a point of reference and even aims to replicate the exact position of cars. All in the name of providing a comparison that is perfect in proximity. Tank didn’t stop at ground shots either. Some of the old photos were taken from the clock tower and he intended on replicating those too. Tank’s passion for this project, which is evident through the work he’s put in, is driven by his philosophy on history and its relation to setting. Tank will be releasing Volume two of, Postcards from the Past, next spring. David Tank’s book, Postcards from the Past: Then & Now Pictures of Menomonie, can be found for purchase on planertcreekpress.com and Bookends on Main on 214 Main Street East.